PETA focuses its attention on the four areas in which the largest numbers of animals suffer the most intensely for the longest periods of time: in laboratories, in the food industry, in the clothing trade, and in the entertainment industry. We also work on a variety of other issues, including the cruel killing of rodents, birds, and other animals who are often considered “pests” as well as cruelty to domesticated animals. PETA works through public education, cruelty investigations, research, animal rescue, legislation, special events, celebrity involvement, and protest campaigns. PETA Foundation was founded in 1993 as an organization that helps PETA run, and includes departments like IT, Development, and Interactive Media. 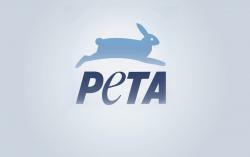 PETA and the PETA Foundation are two separate organizations but work very closely together. Looking for a career in animal rights? See our open positions here: http://www.peta.org/jobs.